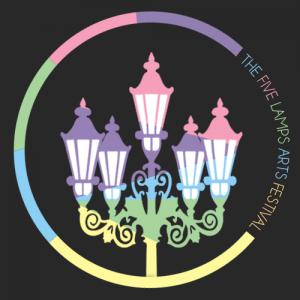 The Five Lamps Festival (FLF) is an annual area-based arts festival built on a unique partnership between Marino College and members of the Five Lamps community. It is committed to inclusivity, participation, and the creation and presentation of locally relevant, artistically ambitious work. It aims to animate public spaces and contribute to the perception of the area as a positive and creative place in which to live and work.